You’re a not-so-hopeless romantic and are always thinking of delightful ways to woo your true love. For you, the ultimate honeymoon of your dreams is one cloaked in romance. 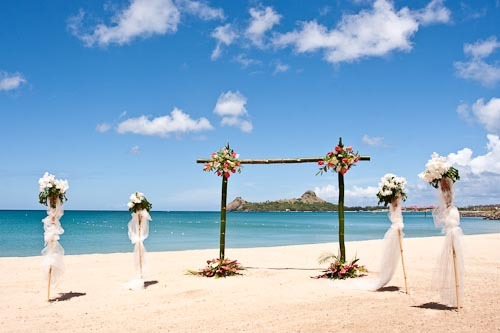 Think charming European cities and luxury Caribbean beach stays for you romantic honeymoon. Hold on to your love and take an exciting ride through Italy’s winding streets on a Vespa Scooter. Or snuggle your sweetie high atop the St. Lucian rainforests during a breathtakingly beautiful tram-ride. 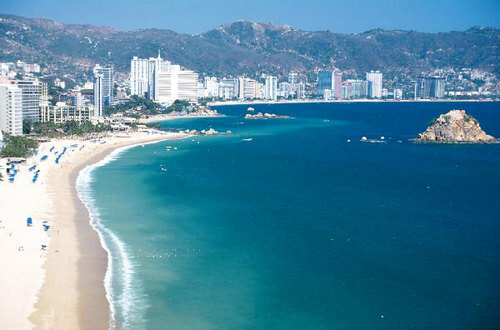 Winding around a crescent bay and backed by the verdant Sierra Madre del Sur mountains, Acapulco graciously blends striking scenery with the non-stop energy and excitement of numberous nightclubs, discos, and restaurants. A citywide renaissance, begun with the renovation of the Main Square, is in full bloom. With it, younger couples and other travelers are discovering sophisticated fun and romance in a beautiful bay side resort destination. Accommodations to suit many styles and budgets are available within three city zones. 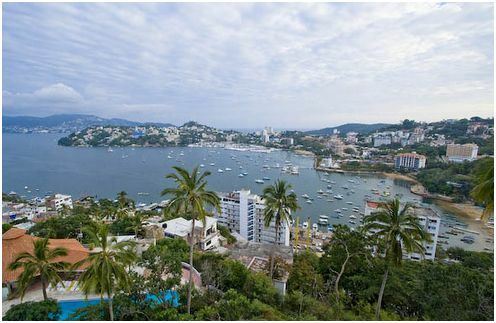 Alive with excitement night and day, the Acapulco Bay/Costera Hotel Zone is where you’ll find the best beaches, shopping, nightlife, and dining. The Diamante Area, surrounded by pounding surf and beautiful beaches, is home to Acapulco’s most posh hotels and residential developments, with more openings planned in the next year. Playa Revolcadero sports horseback riding. bodysurfing, and great views of the dolphins that often swim just south of Acapulco Bay. Visitors join locals for favorite pastimes sich as strolling the seaside promenade in Old Acapulco, shopping for everything from fresh produce to handmade pottery in the colorful Municipal Market, and watching the legendary cliffs dives leap into the sea from the 130-foot La Quebrada precipice. Picture-postcard beaches, first-class hotels, and tireless dusk ’til dawn nightlife – the prime ingredients for a fun-filled vacation!